Ian Alexander is an independent consultant specialising in Requirements Engineering. He has written several training courses on systems and requirements engineering. He has led hundreds of training courses on systems engineering, requirements, DOORS, and DXL, and has run numerous practical workshops on scenarios, trade-offs and requirements. He was co-author of an Addison-Wesley book on HTML 3 and its 2nd Edition on HTML 4. He is the author of the Scenario Plus for Use Cases toolkit, and is a well-known speaker and writer on scenario usage. He is currently on a technology project to investigate the reuse of specifications for control systems in the German automobile industry. He helps to run the BCS Requirements Engineering Specialist Group and the IEE Professional Network for Systems Engineering. He is a Chartered Engineer. 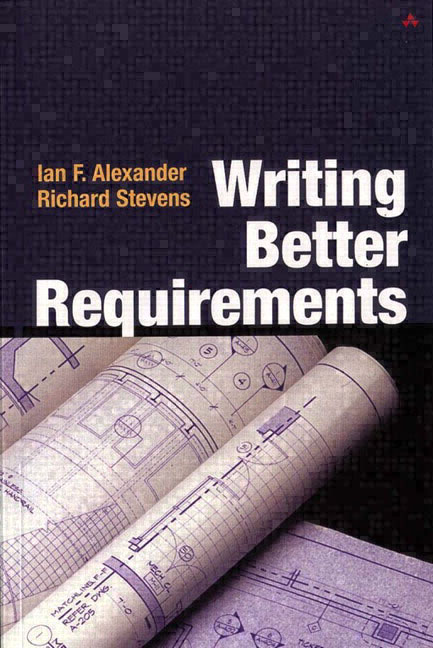 Richard Stevens is the founder of QSS, the firm that launched the pioneering Requirements Management tool DOORS, the worlds most popular requirements tool. He is the co-author of books on "Systems Engineering", "Software Engineering Standards", "Software Engineering Guidelines" and "Understanding Computers". In 1998, Richard was appointed as the first European Fellow of INCOSE, the International Council on Systems Engineering.